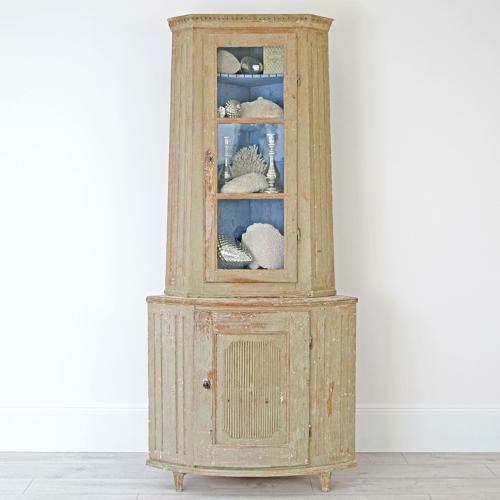 A magnificent Gustavian period two-part corner cabinet hand scraped back to it original colour with stunning blue interior and retaining its original 18th century 'wobbly' glass. Featuring a shaped top cabinet with tapered & fluted sides with dentil trim cornice, over a bow fronted bottom cupboard with fluted sides and single reeded door, and square tapered & fluted feet. Swedish circa 1780.